Will Lindsay has worked in the mental health field for 12 years, initially working with adolescents in wilderness therapy, residential therapy, and acute care settings. He has also worked with adults in acute psychiatric and residential settings. Will was a Therapeutic Recreation Technician for 5 years at a youth residential program before finishing his degree in Recreation Therapy from the University of Utah. 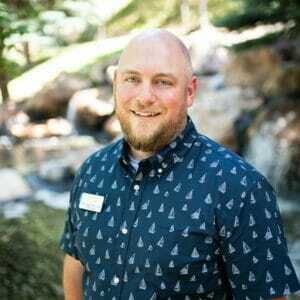 Currently, he is a Licensed Therapeutic Recreation Specialist through the State of Utah and holds a National Council of Therapeutic Recreation Certification. Combining his professional experience with his broad personal recreation and leisure pursuits, Will creates meaningful experiences that both teach and entertain. Through these carefully designed experiences, Will empowers individuals to develop and practice skills that will help provide a healthy balance in life.